2012 saw the withdrawal from service and placing into storage of the 2700 Class railcar fleet after just 14 years in traffic. To commemorate this occasion I have put together a selction of my photos of the 2700 Class from between 2006 & 2012, which showcases their time allocated to Cork and Limerick Depots, following displacement from Drogheda Depot by the 29000 Class. Thanks must go to Oliver Doyle, Stephen Hirsch & Brian Solomon for providing several images of the class at work in the Dublin Suburban area in their original Orange & Black "ARROW" Livery and to Noel Enright for images of the class at work on the Ballina Branch. The text underneath gives a brief history and technical details of the Class. Thanks to Stephen Hirsch of the Irish Railway Records Society for allowing me to use the text from the recent IRRS 2700 farewell tour. Some 19 years after railcar operation had been ended by CIÉ, with the withdrawal of the last AEC cars, it was resumed by Iarnród Éireann with the introduction of the 2600 Class units built by Mitsui/Tokyu in Japan. With the DART brand name having proved so successful, it was decided that the railcar fleet would branded Arrow. Whilst the name DART referred to the service being operated, the Arrow brand referred to the vehicles and it would also be applied to subsequent classes of railcars until the name was dropped in the early 2000s. During 1995 Iarnród Éireann sought tenders from potential suppliers for the supply of a fleet of railcars to augment the 2600 Class. The following year an IR£23 million contract was signed with GEC Alsthom Transporte (GECAT) for the supply of 27 railcars, designated the 2700 Class. The vehicles, which consisted of 25 single ended cars (12 M1 and 13 M2 types) and two double ended units (MTC type) were built at GECAT’s factory at Santa Perpetua de Mogoda near Barcelona. 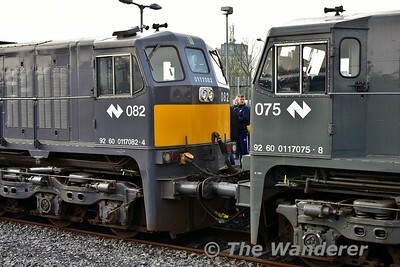 Delivery of the first two railcars took place on 26 April 1998. The vehicles, each loaded on a lorry, were transported by road and ferry from Barcelona to Inchicore Works. Deliveries continued on a regular basis until the final vehicle arrived in Inchicore Works on 12 November 1999. Because of their Spanish origin and Arrow branding the class soon received the nickname ‘Sparrows’. M1 Cars: Power car with a single driving cab. As delivered, standard class seating for 55 passengers was provided (52 fixed and 3 tip-up seats). These vehicles also include wheelchair accommodation and a toilet compartment. The M1 cars also contain the control equipment for the CAWS signalling system. In 2004 seating was reduced to 50 fixed + 0 tip-up seats in 2719 and 2721 to allow the provision of cycle racks in these vehicles and this reduction was subsequently applied to the remaining M1 cars. M2 Cars: Power car with a single driving cab. Standard class seating for 62 passengers is provided (62 fixed seats), along with secure storage for catering equipment and supplies. The emergency equipment cupboard is also located in the M2 cars. The normal consist for a two-car set is M1 + M2. An M1 + M1 consist is also allowable but would be the exception rather than the norm, while an M2 + M2 consist is not permitted. MTC Cars: Power car with two driving cabs. Standard class seating for 53 passengers is provided (50 fixed and 3 tip-up seats). These vehicles also include wheelchair accommodation, a toilet compartment and, as the cars were designed to operate as single vehicles, control equipment for the CAWS signalling system. The M1 and M2 vehicle types are 20,555 mm long 2,834 mm wide. M1 cars weigh 38.7 tonnes while the M2s weigh 37.4 tonnes. The MTC cars are also 2,834 mm wide, but are 21,592 mm in length and weigh 40.2 tonnes. Each car is powered by a Cummins NTA 855 R1 type water cooled engine which is rated at 350 hp at 2,100 rpm. Air circulation through the radiator panels is driven by a fan powered by a hydrostatic motor fed by a pump coupled directly to the engine. The 2700s have a Niigata DW14G hydraulic transmission. This consists of a hydraulic torque converter drive stage connected to the engine. This is followed by two direct drive geared stages and the forward/reverse gear group. Change over between stages is automatic using wet clutches. A drive shaft takes the output power to a reduction gearbox on the inner axle of the powered bogie, with a second drive shaft connecting to a second reduction gearbox on the other axle of the bogie. Auxiliary power for heating, lighting and ventilation and also to power train controls and equipment is supplied by a Cummins GB5.9GR engine coupled to a Nishihatsu generator set. Power for heating, ventilation, saloon lighting and the air compressor motor is supplied at 380/220 V ac, 50Hz, while power for emergency lighting, exterior lights, cab lighting and heating, windscreen heaters, control electronics, battery charging and signalling equipment is supplied at 24 V dc. Scharfenberg 330 type couplers are fitted to the cab ends of each vehicle. These allow mechanical, electrical and pneumatic connections to be made automatically between sets, Uncoupling is achieved by the operation of a switch in the driving cab. The internal coupling between vehicles in a two-cat set is by a bolted bar semi-permanent coupler with separate hoses and jumpers for pneumatic and electrical connections. The first working of a 2700 Class in traffic set was on 23 October 1998 when vehicles 2705 + 2706 + 2707 + 2708 + 2711 + 2712 were used on the 13:17 Dublin Pearse-Drogheda service. 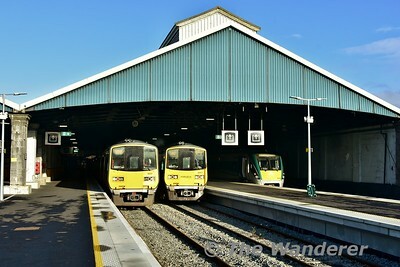 Initially the 2700s operated suburban services on the Dublin Pearse-Drogheda/Dundalk routes. In 1999 their sphere of operations extended to Bray and they also appeared on the Dublin Heuston-Kildare route where they often ran in 3 car formations. The 2700 Class proved to be somewhat unreliable and, following the introduction of the 29000 Class, a number of cars were transferred to Limerick to operate local services there. In 2004 the 2700 Class was introduced onto the Connolly-Rosslare Europort service, with two cars, 2719 & 2721 being fitted with bicycle racks and parcels areas. However, the continued unreliability of the class saw them replaced after only nine months on the service and returned to work Commuter services in the Dublin Connolly area. By late 2005 all the fleet were based in Cork and Limerick, working services to Cork-Cobh, Cork-Mallow-Tralee, Limerick-Ennis, Limerick- Ballybrophy and Limerick-Limerick Junction-Waterford-Rosslare. The timetable change at the end of 2009 saw all the 2700 Class based in Limerick, with Cork becoming home to the 2600 Class. 2700 Class railcars took over the operation of the Manulla Junction-Ballina branch from the 2600 Class at that time. During 2010 work began on the removal of the gangway connections at the cab ends as these had not been used for some time. This work has been completed on all vehicles, except 2716. Today, the 2700 Class units operate services from Limerick to Limerick Junction, Waterford, Ennis, Galway and Ballybrophy. One two-car set operates on the Ballina branch. The ‘spare M2 car, 2716, operates in the "hybrid" set with 2609, either on Limerick or Cork based services. 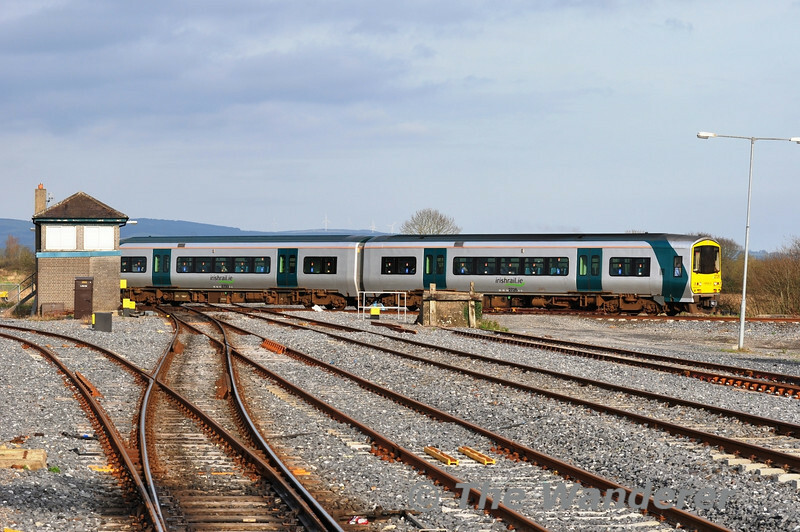 By June 2012 most of the fleet had been withdrawn with the introduction of the 2011 batch of 22000 Class DMU's and the transfer of 2800 Class from Drogheda to Limerick. Four sets (2711 + 2712, 2715 + 2724, 2719 + 2722, 2751) were kept available at Limerick for the additional traffic expected into Galway for the Volvo Ocean Boat during the first week of July. 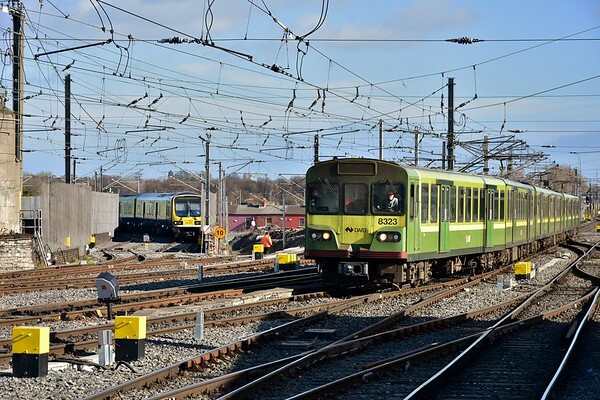 By the end of July, three sets (2711 + 2712, 2715 + 2724, 2719 + 2722) were retained to provide additional capacity for the Galway Race Festival on the Western Rail Corridor. After the August Bank Holiday the remaining sets were stood down from traffic. The last passenger working of the class was on Friday 10th August 2012 when 2715 + 2724 worked the 1705 Limerick - Ballybrophy & 1915 Ballybrophy - Limerick. 2701/02 (IC); 2703/04 (IC); 2705/06 (C); 2707/08 (C); 2709/10 (C); 2711/12 (C); 2713/14 (C); 2715/24 (C); 2717/18 (IC); 2719/22 (IC); 2721/20 (C); 2723/26 (IC). The extra M2 car 2716 (C) is paired with 2609. The single MTC cars are liveried 2751 (IC) and 2753 (IC). 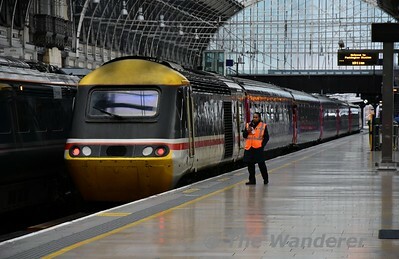 (IC) Intercity livery (based on livery carried by the 22000-class ICR fleet); (C) Commuter livery.